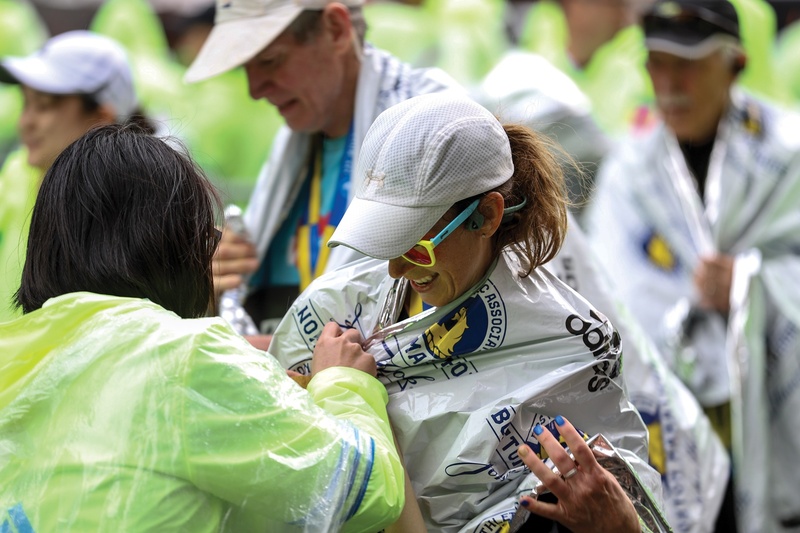 The 26.2 mile course begins in Hopkinton and concludes in Copley Square after weaving through suburbs west of Boston, with notable features such as Heartbreak Hill in Newton. The marathon was the culmination of months of grueling training for all and, for some, fundraising as well. Race day would turn out to be no easier. Bjarni Atlason ’22, who was running in his first marathon, contracted a 105 degree fever just five days before race day. He was bedridden until Saturday but still came out for the race. The race was a two sided tale for Atalson, who vomited midway through the race and received medical treatment. First held in 1897, the Boston Marathon is the world’s oldest annual marathon. Participants typically enter one of two ways: running a qualifying time at a previous marathon or running on behalf of a recognized charity. Five racers from Harvard ran with the Harvard College Marathon Challenge — an email list that brings together Harvard runners and helps them raise money for charities. The team raised money for the Phillips Brook House Association, a College-affiliated nonprofit which offers public service opportunities for students. 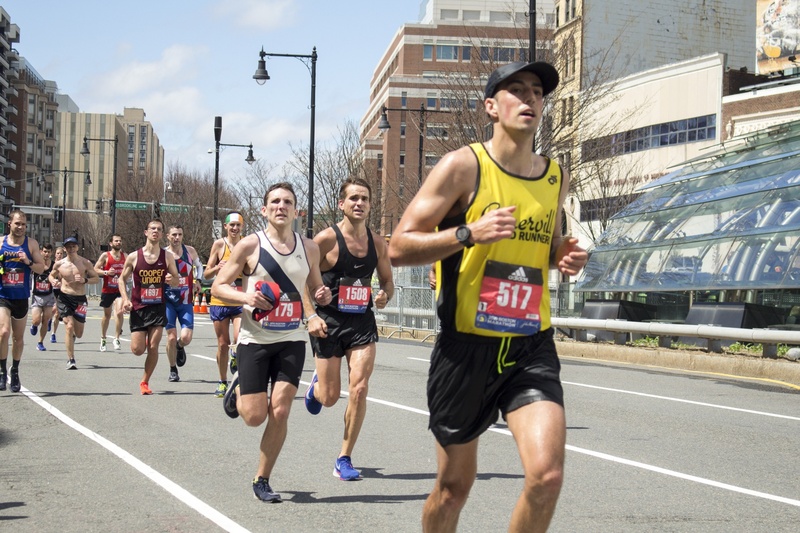 Harvard University Police Department Detective Robert Surette, who ran with HCMC, said that during the race he was grateful for the support from PBHA and other friends. 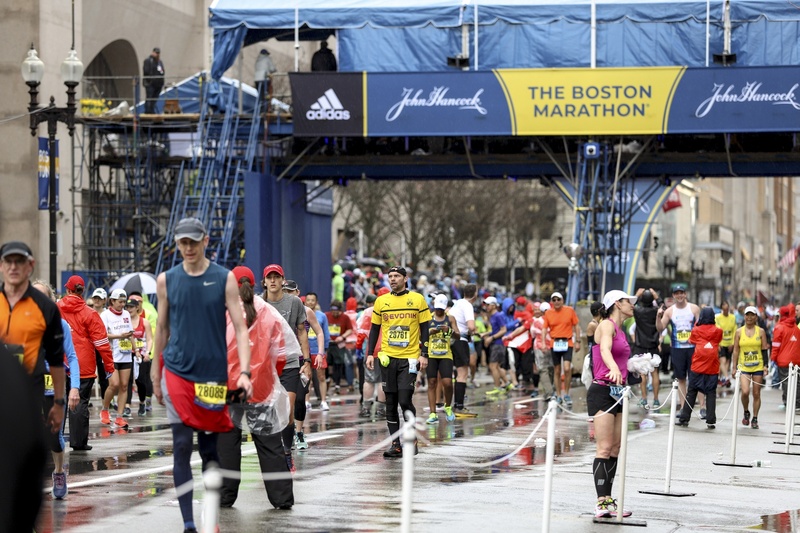 Early Boston Marathon runners faced good weather on Monday morning. A group of the Warners’ friends came out to support them and were there to provide greetings and hugs as the rain picked up after the sisters finished the race. “It's just such a cool day and for us to know people that are actually running,” Isabel Jasper ’19, one of the Warners' friends, said. “It's a really cool community that comes out for it,” another friend, Michael J. Kassabian ’19, added. Gabriela J. Siegal ’20 and her self-described “marathon buddy” Aurelia S. Han ’22 also journeyed across the Charles River to run the race together. “It was awesome — Aurelia and I ran together, and I couldn’t have done it without her. She kept me going when it got hard! She’s forever my marathon buddy,” Siegal wrote in an email after the race. 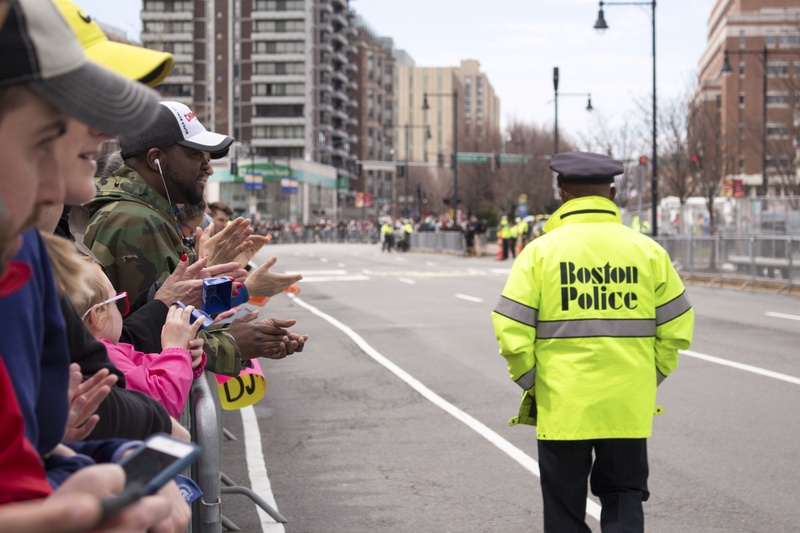 Crowds cheer on Boston Marathon runners as the Boston Police ensure the safety of the participants and onlookers. For others, the focus is more near-sighted. Surette said he had a simple plan for the rest of the day. “Relax, eat pizza. Take a nap. That’s about what's on my mind,” Surette said.